Celtic-inspired designs are intricate and ornate, but still manage to remain casual. These swirling designs create the ideal style for wedding bands for men whose lifestyles trend towards casual, but who don’t want a typical plain wedding band. For many, men’s Celtic wedding bands drum up images of long-ago ethereal mysticism and magic. This adds to the intrigue of these amazing wedding bands. Each Celtic knot has no beginning and no ending, which is an appropriate symbol for the infinite bond of marriage. But every design also holds its own meaning. When shopping for the best men’s Celtic wedding bands, here are five designs that will mesh with his casual style while also showcasing a symbolic statement inspired by the Celts. 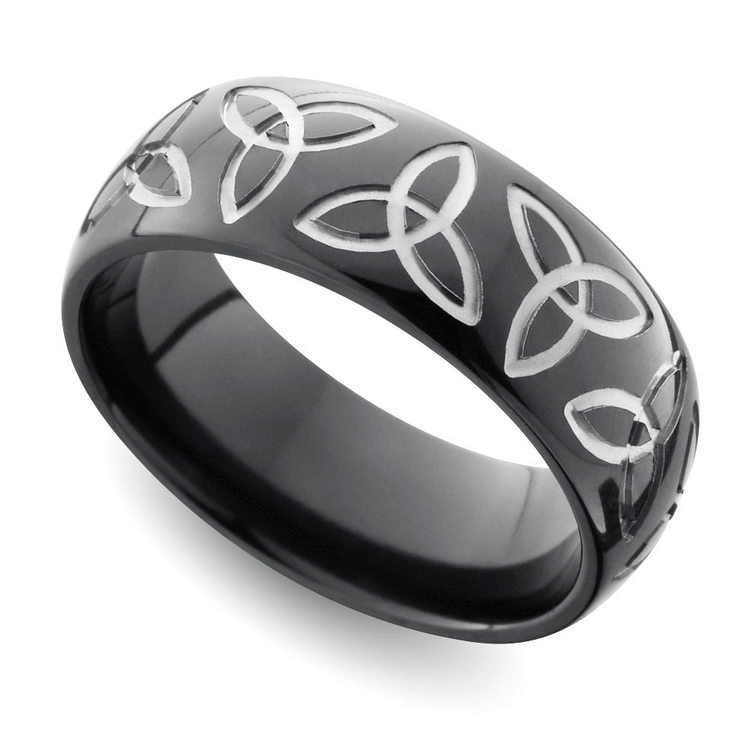 The Triquetra knot (or “trinity knot”) features a triangular-shaped, looped knot design meant to symbolize the “interconnection of the three planes of existence: mind, body and spirit.” This blackened zirconium men’s band features an eternity pattern of laser-carved trinity knots. A Quarternary Celtic knot is what the name suggests—a knot with four leaf-like sides (or points). Some claim this four-point design may symbolize the four cardinal directions, the four seasons or the four elements. This cobalt men’s wedding band features a Celtic knot design that pulls inspiration from the Quarternary knot. The knot design is set against a blackened background, which adds to the casual style of the band. A Celtic knots design can have different variations. The Sailor’s Knot is two knots that are woven into one design, so this knot typically symbolizes two becoming one. However, if you search for this knot, you may find multiple designs and knots that look different. 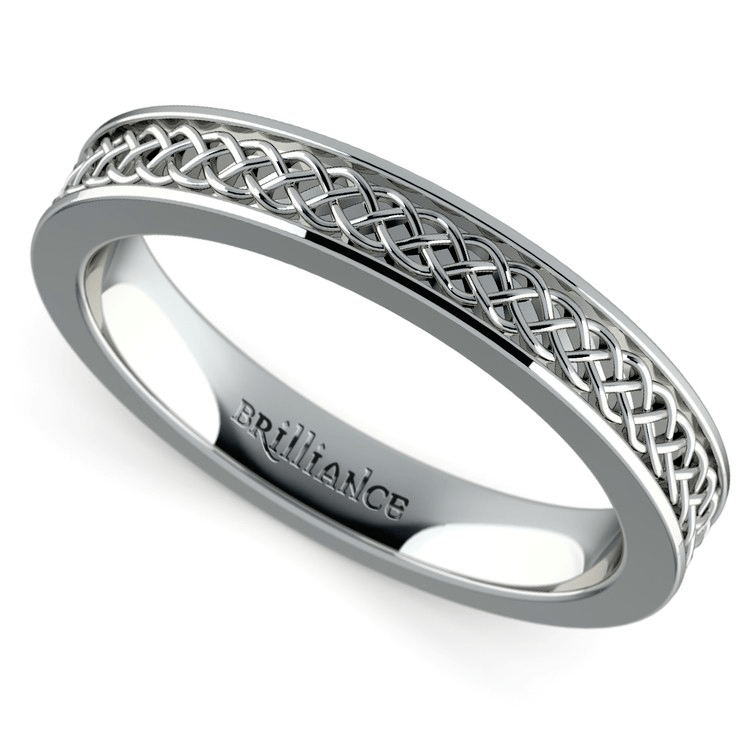 The ring below features a classic Celtic knot design like the Sailor’s Knot and may be set in platinum, yellow gold, rose gold or white gold. Many Celtic knots may feature a heart design known as the Love Knot. This design is ideal for wedding rings and to showcase a promise to love each other through marriage’s eternal vows. This sleek cobalt men’s Celtic wedding band features a step design with heart-shaped Celtic knots woven across a satin finish. A classic Celtic knot also may be combined with the symbolism of the Irish Claddagh. Wear a Claddagh wedding ring on the left hand with the heart facing in to symbolize that you’re married… and unavailable! 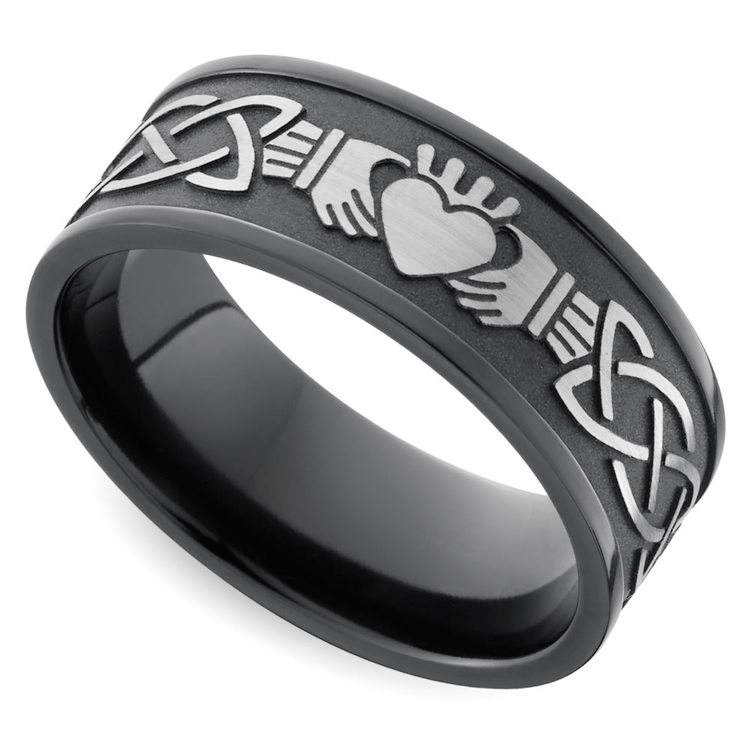 This black zirconium men’s band features a laser-carved Celtic knot pattern embracing a traditional Claddagh design, set against a bead-blasted background. 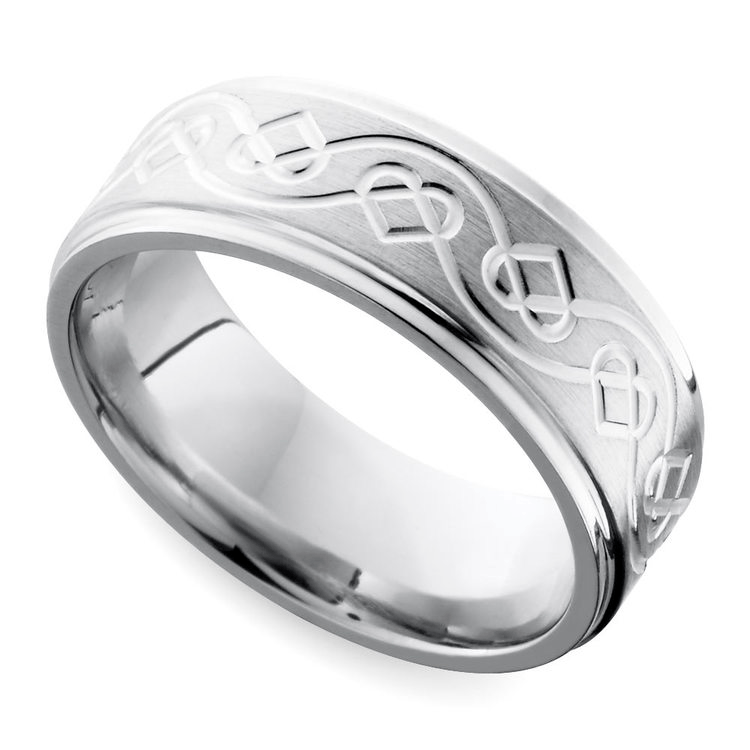 You also can design your own Celtic knot for unique custom men’s Celtic wedding bands. There are many types of Celtic knots and many different ways to design these ancient knots. These designs can also be etched in any metal and may also include diamond or gemstone details. Use emeralds to pull in the green beauty of the Emerald Isle! 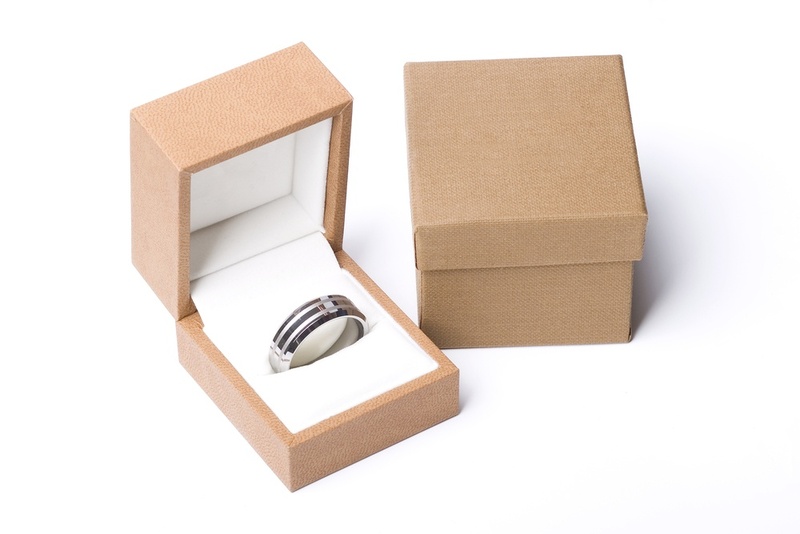 Or keep the ring simple so that it matches his laid-back style and personality. Just remember to choose a design that inspires you and stays true to him! 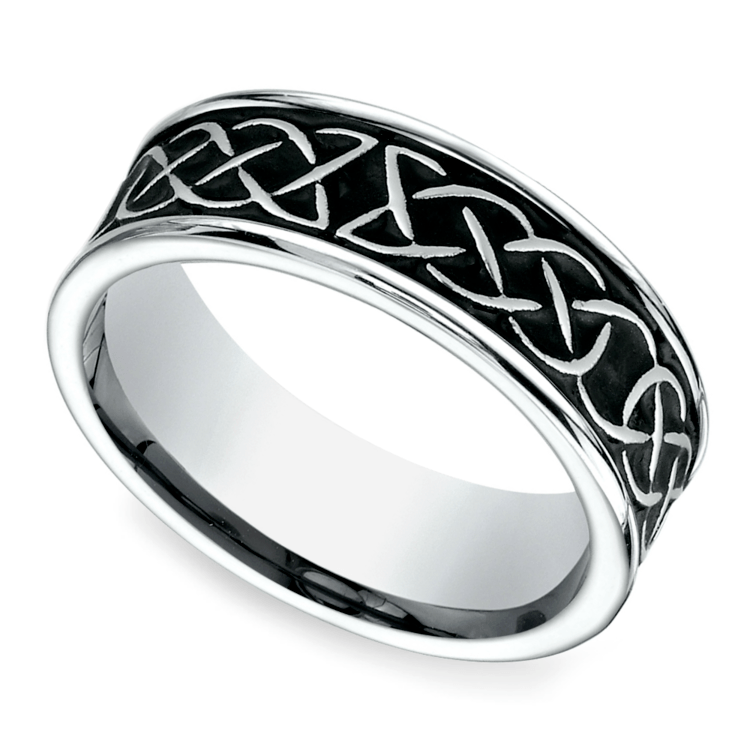 Shop more Celtic and other antique men’s wedding bands here.